We are pleased to present a series of novellas/novelettes. 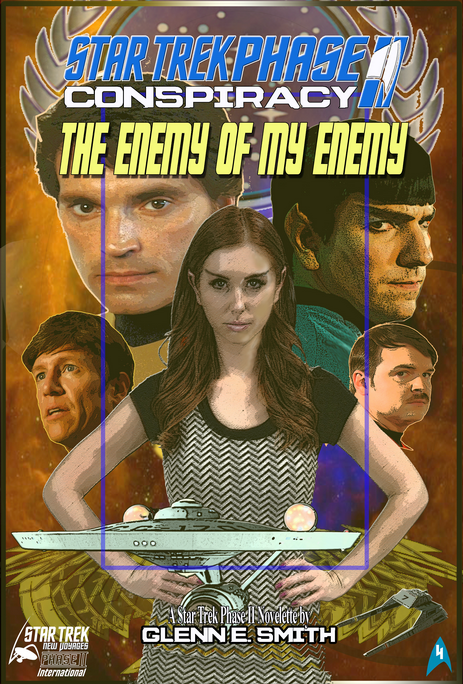 These stories are specifically based on the New Voyages: Phase-II timeline, filling in the gaps between live-action episodes and exploring some of the themes presented in them. These stories were originally written and had a limited release back in 2014 and are now being re-released by us in a range of popular eBook formats. 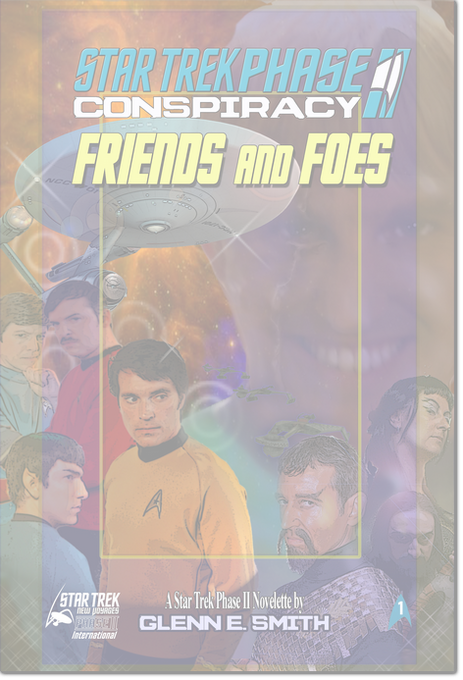 The re-release of these eBooks is our way of providing additional adventures to the fans of our existing episodes. 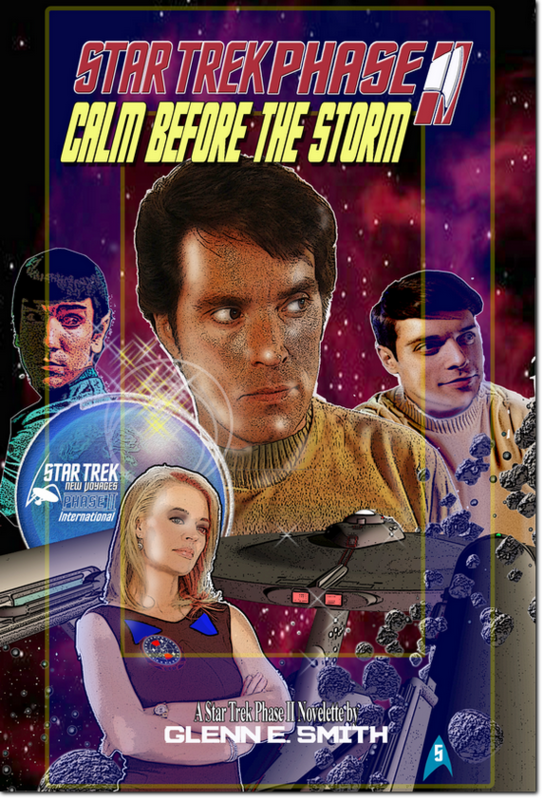 Written by Glenn E. Smith, a member of the New Voyages production crew, these stories enable us to continue going boldly where no fan series has gone before. This work is a work of fan fiction and is made freely available to everyone at no cost. They are not official works of New Voyages: Phase II, they are simply the authors own interpretation of events related to our episodes. The author has not and will not receive any pay or other form of compensation for this work. It is not permitted to sell this work in any form or release it on any other platforms without our written permission. 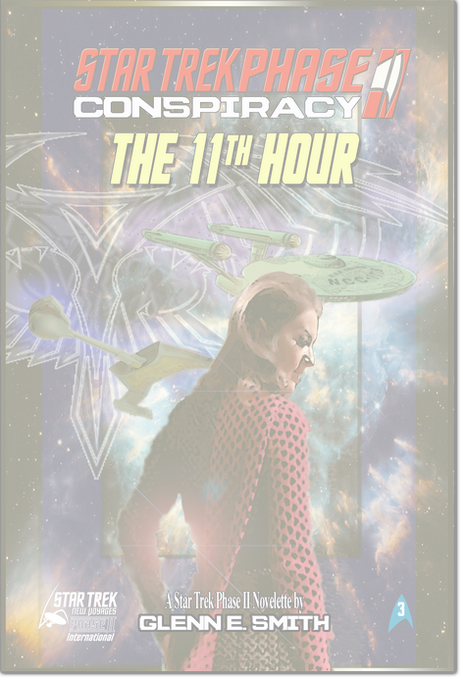 This eBook is authorized for release on condition that reference is given to our website where people can learn more about New Voyages: Phase II on www.stnv.de where any links to specific pages use the given permalinks, only. The permalinks are designed to send viewers automatically to the correct language for them out of the selection English, French, German or Spanish. STAR TREK and all related marks, logos and characters are owned by CBS Studios Inc. This work, the promotion thereof, and/or any exhibition of material created by RFS, New Voyages: Phase II and/or the author of this work are not endorsed or sponsored by or affiliated with CBS/Paramount Pictures or the STAR TREK franchise. 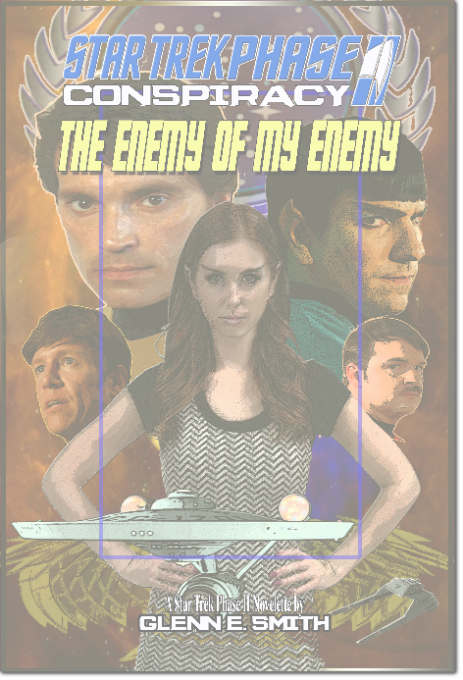 The events in novelette 5 take place after the novelette "The Enemy of My Enemy". You can read that novelette here. This concludes the series of eBooks for now. If further stories can be released, depends on permission being given for us to release new stories written after June 23. 2016. We hope you enjoyed these novelettes and the New Voyages: Phase II episodes. Enroute to rendezvous with the dreadnought U.S.S. Alliance near the Romulan neutral zone to pick up Colonel Finnegan and his MACOs, Captain Kirk takes time out to tell his nephew, Peter, about his first mission as captain of the Enterprise. 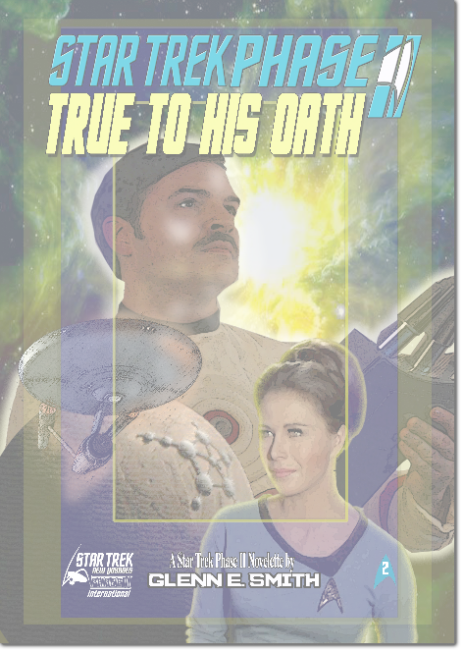 The last in the current series of stories written in the Star Trek universe, as seen in the New Voyages: Phase II fan-film series. 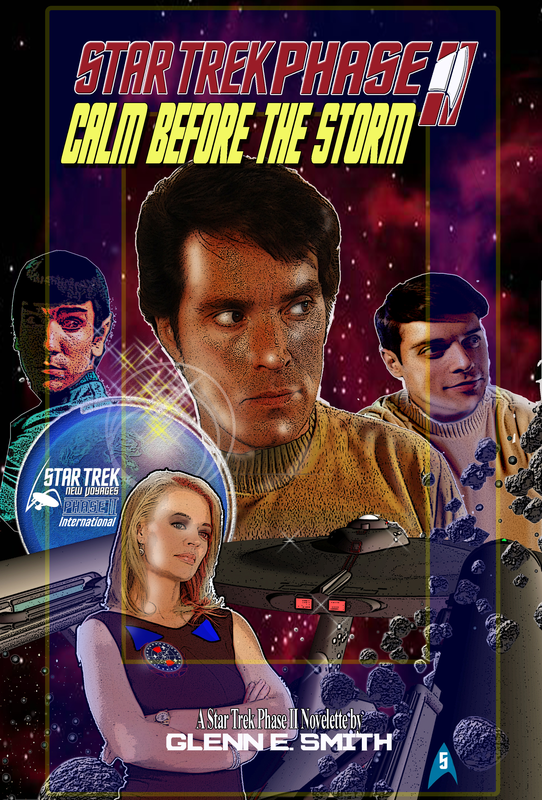 “Calm Before the Storm” takes place after the live-action episode “Kitumba” and the story "The Enemy of My Enemy." Thanks to James Cawley for creating “Star Trek New Voyages / Phase II” and then opening up his sandbox and allowing us all to play there. Thanks to Bill “Lab Mouse” Lutz for designing and creating another awesome cover. Thanks to Andrew “Sarge” Grieb for once more providing me with his proofreading services. Make sure your Kindle is connected to the internet via a WiFi connection (3G will not work). From the home screen, type on the Menu icon and then "Experimental"
Click on Web Browser. Make sure "Web" is selected on the left and tap on the address field. Type in www.stnv.de/novels4 and open that page. Click on the MOBI Download button. A window appears: "Download stp2.05.Calm.Before.The.Storm.v1.mobi?" Click on OK. The eBook will now download to your Kindle and appear on your Home screen. Download the MOBI file to your computer. Your eBook will now appear on your Kindle. Disconnect the Kindle and you can read the eBook. Note: As we are not permitted to charge anything for our stories, we cannot release this eBook on Amazon, as they require a minimum price of $0.99 for eBooks. We are therefore providing the eBook in Kindle format here with instructions as to how to transfer it to your Kindle device free of charge. It is quite simple. Descriptions of formats taken from WikiPedia. Version 1 - Public release March 31, 2017 - Original release. Download the ePub file to your computer. You can now read your eBook. Download the PDF file to your computer and use a PDF reader like Adobe Acrobat. Download the LRF file to your device and follow the manufacturers instructions. Download the PDB file to your device and follow the manufacturers instructions.